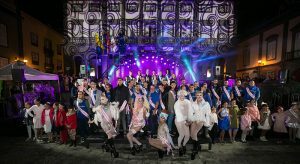 The island and provincial capital, Las Palmas de Gran Canaria, starts Carnival season 2019 this Friday, 15th of February, the biggest of all the carnival celebrations on the island, lasting a whole until the 10th of March. 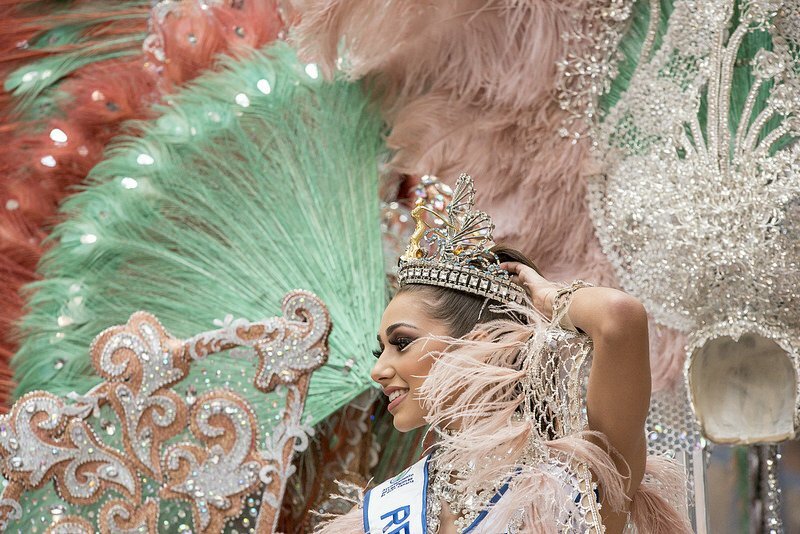 Each year the public take part in an open competition, usually during the preceding summer, to choose a theme on which to base the celebrations for the following end of winter series of events, which together form Carnival. For 2019 the Las Palmas de Gran Canaria Carnival is dedicated to “a Night in Rio“: so the Santa Catalina main stage will be turned into an elaborate tribute to the “Carioca Carnival”, and those taking part will be resplendent in a range of amazing costumes which evoke this most famous Brazilian fiesta which has been alive since early colonial times, and may well have been originally modelled on the first Las Palmas carnivals of the 16th century, which many travellers to the new world are likely to have witnessed before their voyage across the ocean. The first night, February 15th, will see Plaza de Santa Ana host the proclamation speech, the Pregón, declaring the Carnival open: entry is free, and this historic area of the original old quarter suddenly comes to life, with musical groups parading through the streets great ambience in a setting where bars and restaurants all join in with the annual celebration… this historic area is of outstanding: it is here that the foundations of the city were first laid, in 1478 and where the original genoese merchants who inhabited the early Atlantic City, set up home on the opposite bank of the Guiniguada ravine, to create Triana, the old merchant quarter, where they first celebrated carnival behind the protective city walls. The first full week of celebration is devoted to group competitions (“murgas” – carnival satire street bands and “comparsas” – carnival dance stage shows) in Parque Santa Catalina, near the Puerto de la Luz which becomes the focus of attention for fans of these hotly disputed competitions; those taking part do so with great passion and explore some of the most burning questions and topics of the day. 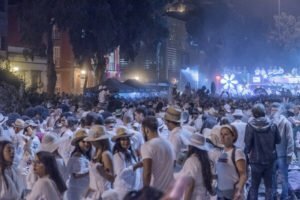 20:30 Pregón, opening ceremony at Plaza de Santa Ana The official opening of the carnival festivities, a spectacle in which the crowd are both the masters of ceremonies and the protagonists of an event that sets the tone for the rest of the celebrations. 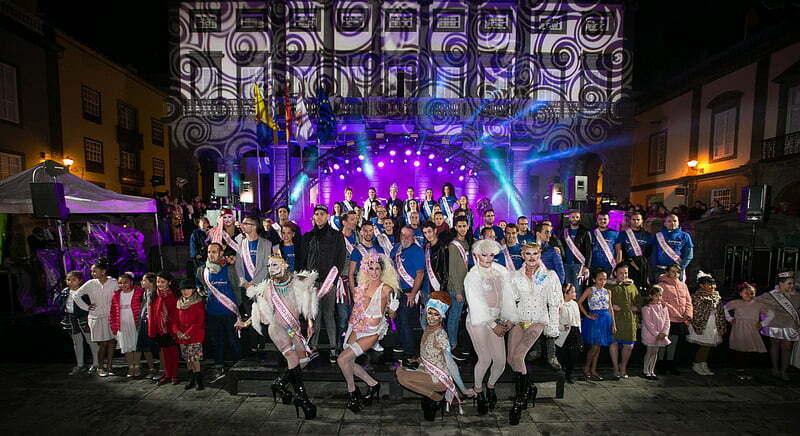 Murgas and comparsas and the candidates for Carnival Queen all take part in the opening ceremony. The event is preceded by a parade that livens up the streets with festival batucadas and carnival rhythms. 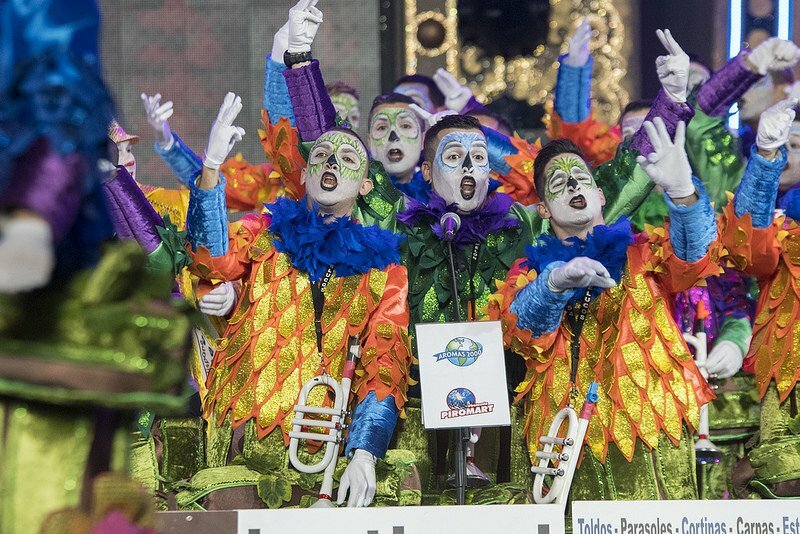 19:00 Contest of children’s troupesChildren are the future of the Carnival. This contest is some of the evidence. Children put on a broad display of rhythm and choreography, and also add energy and enthusiasm, as they present the acts they have worked on for a whole year. Parque Santa Catalina. Free admission until capacity is reached. 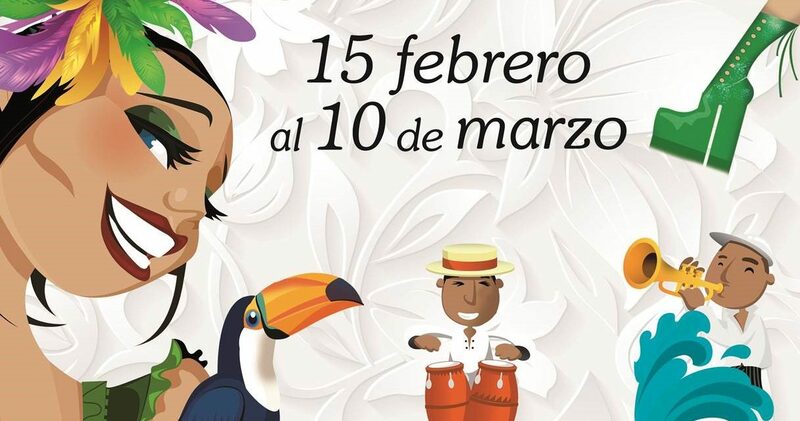 11:00 Childrens’ costume Festival.The stage of Parque Santa Catalina is festooned in lights and colour for a day on which families and kids play the leading role. Ingenuity, fantasy and a great deal of imagination are the ingredients for an event open to all children who have previously enrolled. Free admission until capacity is reached. 20:30 Final round of MurgasTicketed event. 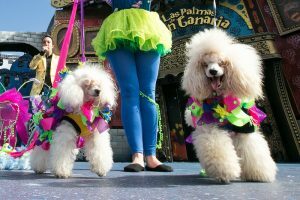 12:00 Canine CarnivalOne of the most eagerly awaited events in recent years has been the Canine Carnival, a parade of pet dogs in costume accompanied by their owners, in which the imagination combined with a respect for animals and their wellbeing are the only limits. Free admission until full capacity. Parque Santa Catalina. 22:00 Carnival NightsCarnival Nights mean a meeting with fun and people in costume. From 22:00 – 03:00. Free Concerts and Live Music next to plaza de Canarias, parque de Santa Catalina. 12:00 Daytime Carnival in TrianaThe oldest part of the city resumes the fiesta on Saturday 2nd, with daytime celebrations on Triana’s Calle Mayor in the main and oldest commercial area. 22:00 Carnival NightsCarnival Nights mean fun and everyone in costume. From 22:00 – 03:00. 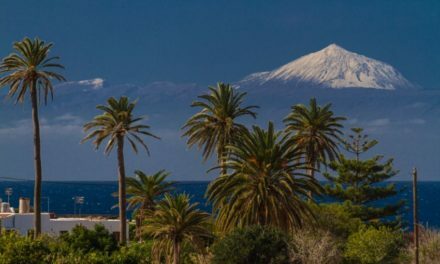 Free Concerts and Live Music next to plaza de Canarias, parque de Santa Catalina. 21:00 Gala Drag QueenThe Drag Queen Gala is one of the Carnival’s most high-profile events of the annual festivities. There are so many candidates entering the competition, that every year a qualifying stage is held in order to decide which drag queens will take part in the final. One of the most exciting nights on the Parque de Santa Catalina stage sees live entertainment on big ‘platforms’ night. It is Carnival in its purest state. Gender transgression, audacity and a total lack of inhibition are combined on the stage in a display of new expressions. Ticketed event. 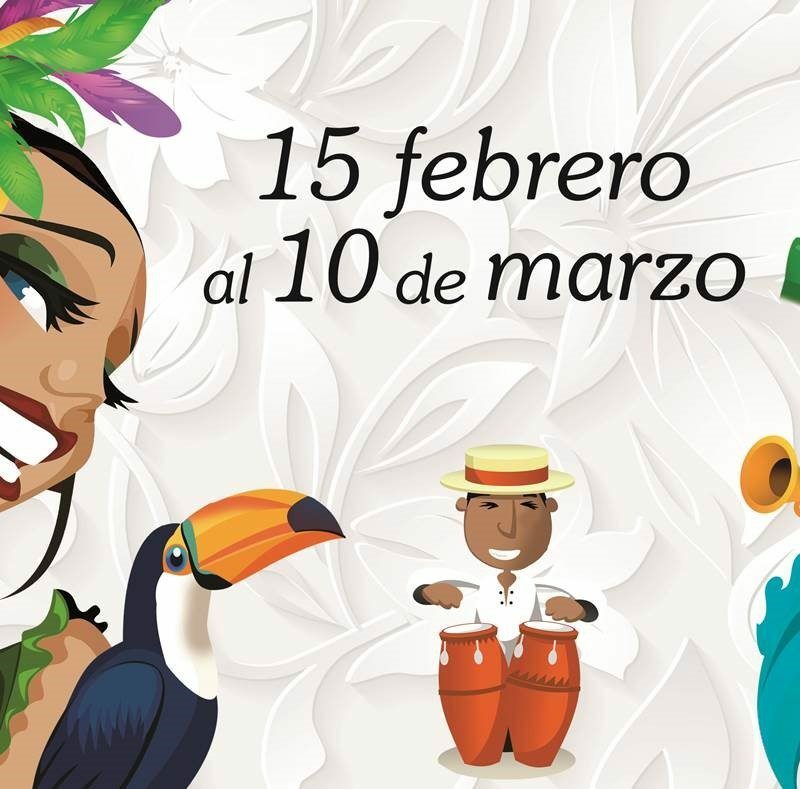 If you fancy a February carnival in the sun, come to Las Palmas de Gran Canaria to experience one of our biggest days of the year, Mardi Gras is a uniquely exciting celebration with live music, carnival parades, and a lot of rhythm, music and colour from 12.00 to 17.00 in and around Santa Catalina Park. 17:00 Children’s paradeThe kids also go out onto the streets in costume to dance and take part in one of the most popular events for families. The Children’s Parade is presided over by the Junior Queen and includes children’s groups (murgas and comparsas). Route : Castillo de la Luz to Parque Santa Catalina. Followed by a childrens party.